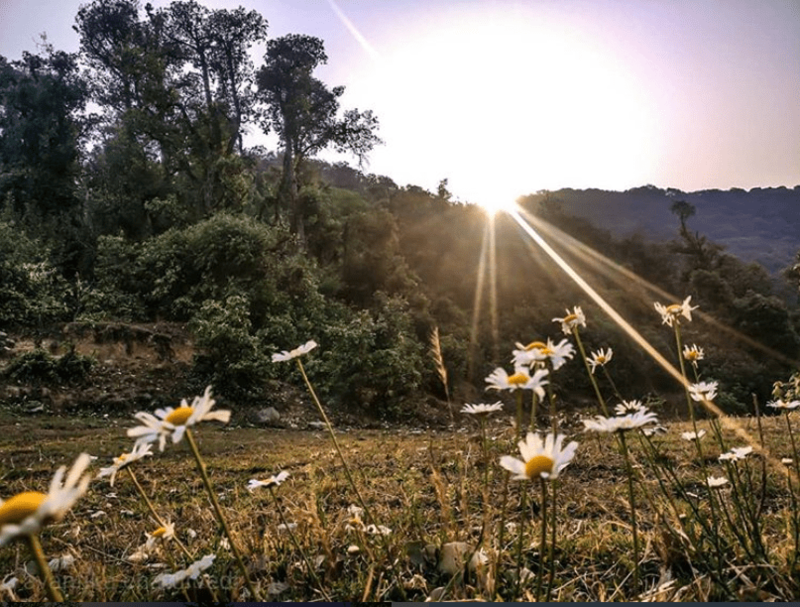 The Nag Tibba trek is a famous trek with beginners. 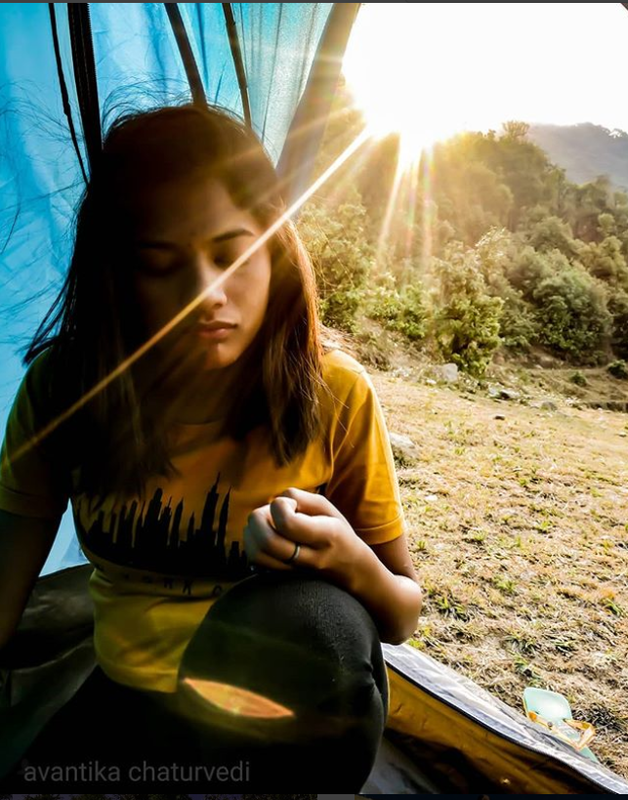 Listed on almost all major adventure websites, I decided that it was time to take a break from Himachal and explore the Himalayas of Garhwal. And so I boarded a bus which took me till Dehradun. Another hour and a half long bus ride later, I had landed in Mussoorie. You can read about my one day halt in the Queen of Hills here. 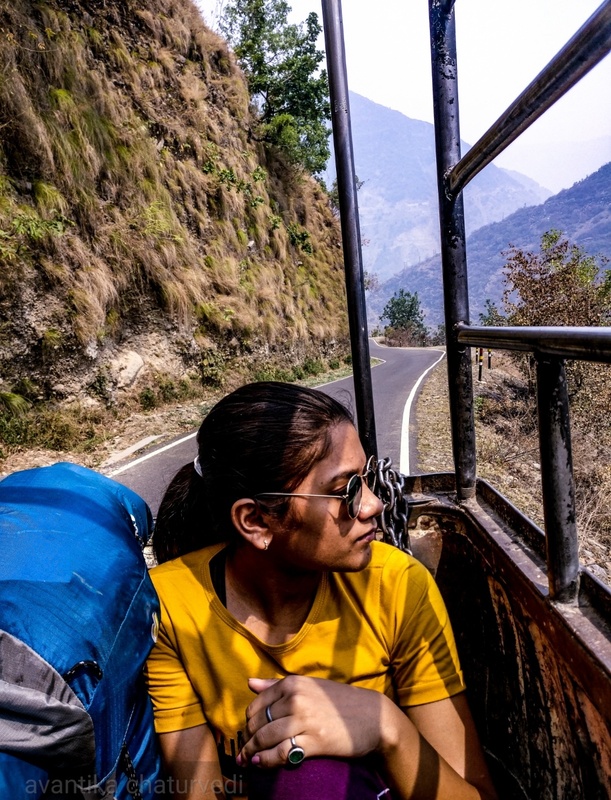 Getting to the starting point of the trek was no easy deal, just as getting anywhere in Uttarakhand is no cakewalk. Major buses from Delhi only ply till 3 cities in Uttarakhand- Rishikesh, Haridwar or Dehradun. From thereon, one is left at the behest of the ordinary buses of the Uttarakhand Transport Corporation. 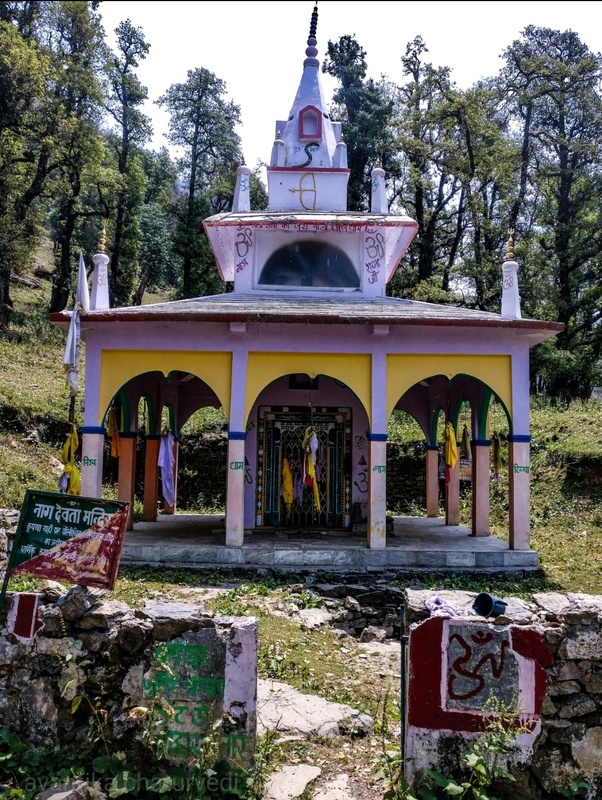 The starting point of Nag Tibba trek is a village called Pantwari in the Tehri district of Garhwal. 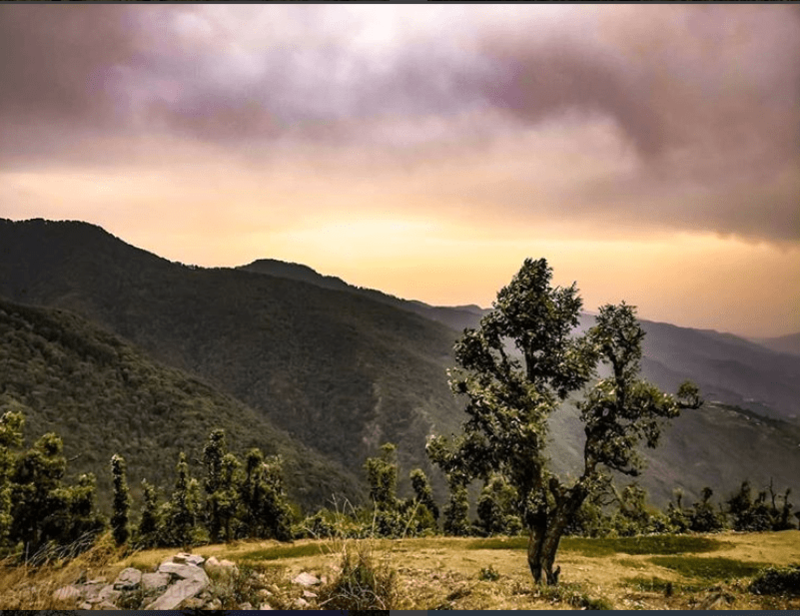 Located some 90 kilometers from Mussoorie, it takes travelling in a lot of different modes of transport to get there. We first boarded the 8:30 am bus from Mussoorie’s Library Chowk and got off at Nainbag village. 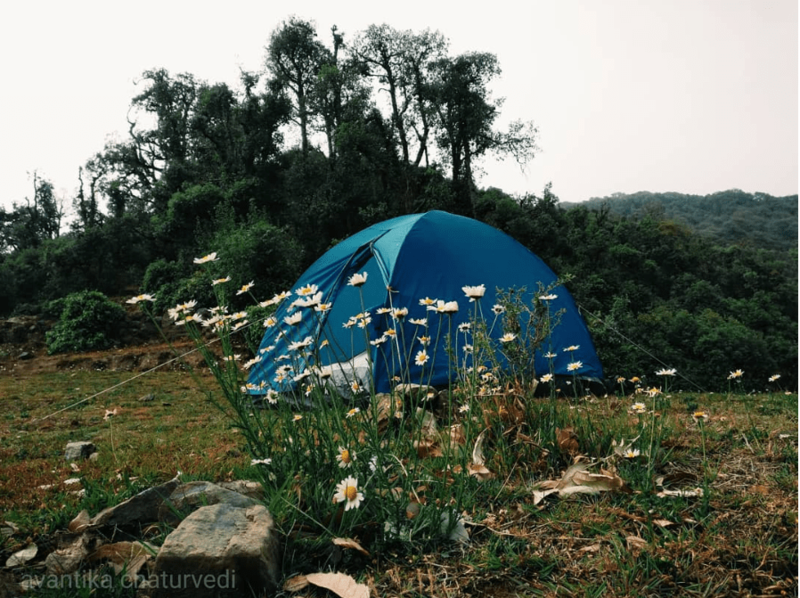 In Nainbag, we packed fruits and some butter bread as there are no eating options available at the campsite in Nag Tibba. One must either cook their own food, or get it packed from the village. From Nainbag, we hailed a tempo truck going towards Pantwari and got on. An hour into our trek, we had crossed a village called Khaitan and reached the first pit stop. We carried on and some two fresh glacial water points, a community village called Goat village, and some scorching heat later, we realized that there was still about an hour to go for us to at least reach the base camp of the peak and the skies had started to turn grey and we could distinctly hear the sky gods warning us of a downpour. With nowhere to go, and nowhere to take shelter, we carried on relentlessly and surely enough within a few moments we felt the first drops of rain. 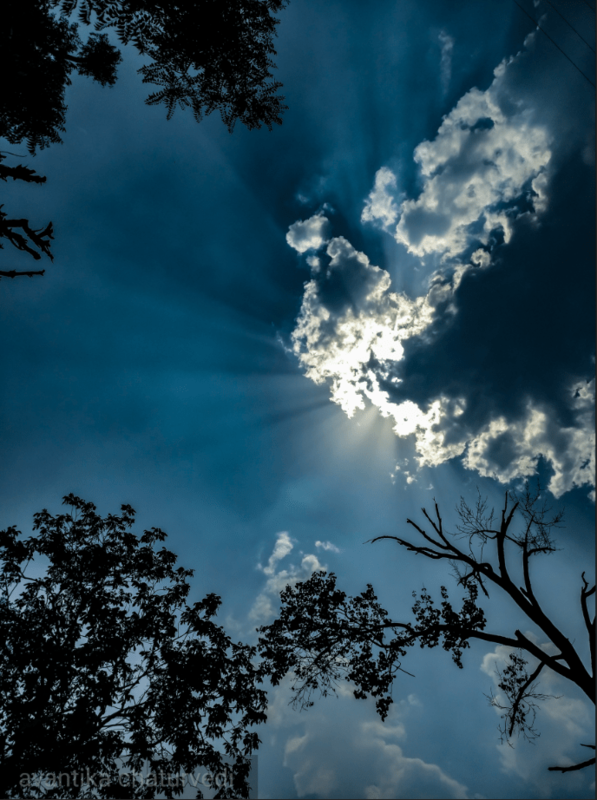 By now we had entered a gate welcoming us to the Nag Tibba trail which said the peak was 5 kilometers further still. We continued climbing but had no idea how far the base camp was and the rain had become stronger, and the winds threatening. Considering the fact that we had to pitch our tent and had no other form of a shelter for miles at a stretch, we decided to dump our rucksacks in the first clearing we saw and pitched our tent here. We quickly opened the tent but the winds were so strong that at one point I was clutching a small part of the rainproof cover of my tent in one fist while the rest of it was trying to escape with the winds. It took us an hour to pitch the tent when on any ordinary day, it would take me only 15 minutes. But that was the thing. This was no ordinary day. With perhaps no civilization for miles at a stretch on either side of the trail, we had to constantly keep reminding each other to calm down, and that we would make it through. Surely, we did. Not long after we had pitched our home and locked ourselves in and dried ourselves warm, did the rain finally stop and we peaked outside to see a stunning lush green meadow sprawled out in front of us, decorated with countless wild flowers. The sky cleared out to give us a breathtaking sunset. We sat outside for hours until it got dark, waiting for some stars to appear but as is always with my travel plans, a full moon was in the cards and that paired with a cloudy sky, it became almost impossible to see any stars, let alone the Milky way that I had been so desperately hoping to catch. The next morning we decided to pack our stuff and head to the peak. Half an hour into the climb, we found the base camp with a small shepherd hut. The man was kind enough to offer to keep our rucksacks safely with him while we go on to get to the peak. 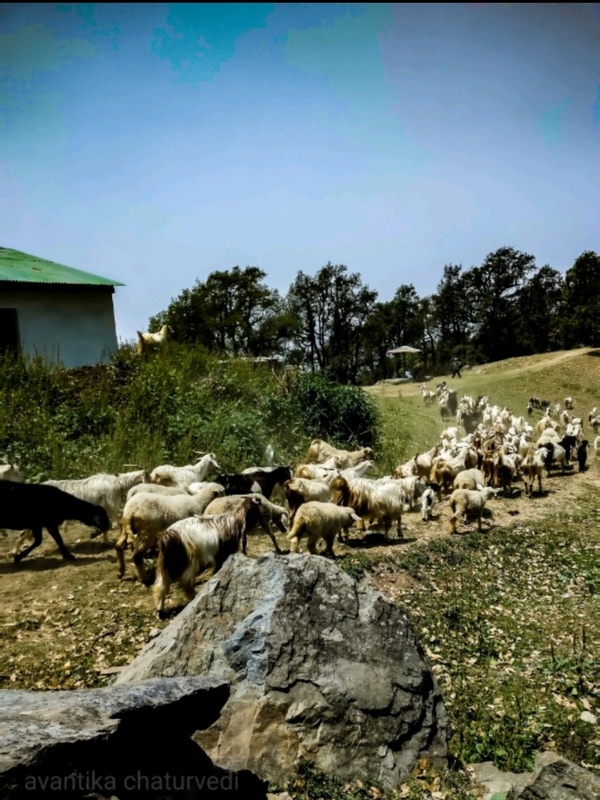 It was a very easy walk ahead which lead us to a massive opening in the hills where we saw the Nag Temple tucked away in a distance with horses grazing all around. By the time we reached the Temple, we had exhausted all our food and the water left with us was scarce. 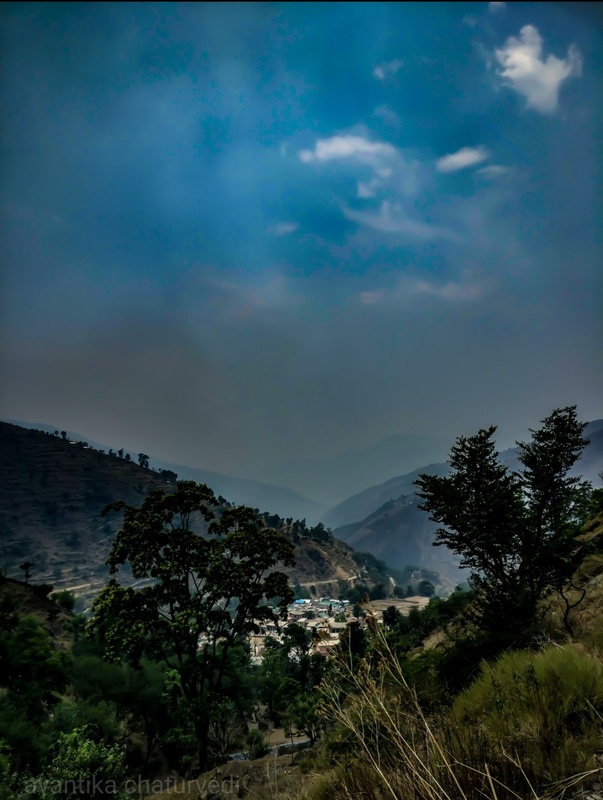 Upon asking at yet another shepherd hut, we found that the peak and the famous ‘jhandi point’ was still 3 kilometers further and the climb was rocky, steep and looked daunting in the May heat with no food and almost no water available. With a stone to my heart I decided I could not go any further and had to return. The lady from the hut sensing my disappointment tried to pacify me by saying that the view from the top wasn’t anything great but I couldn’t have known. At least not for now. The trek downhill was more tiresome than was climbing up. It had struck 3 in the afternoon by the time we could started descending. The entire terrain is a bed of rocks in dirt and the mountains are bare with dried grass, with no trees to provide any relief. 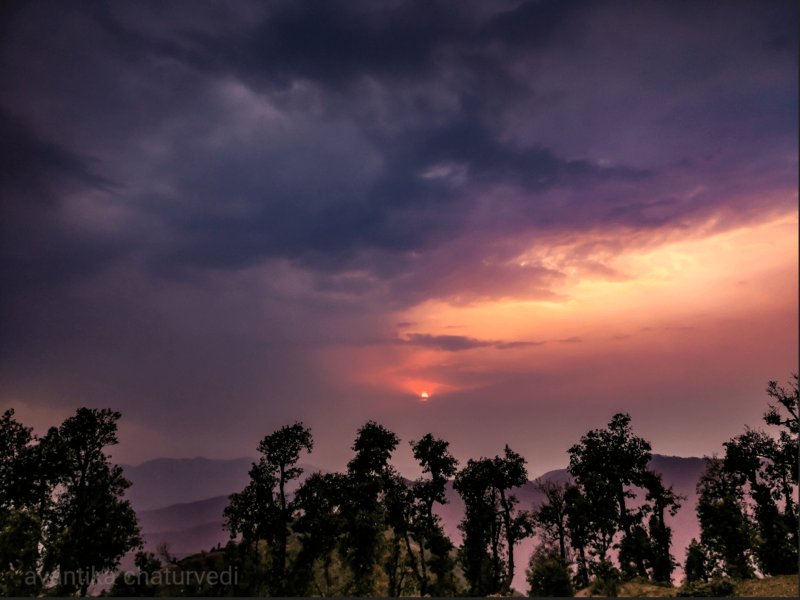 By the time we reached Pantwari, the sun had start setting and we had missed the last shared taxi that could have taken us to Nainbag. The idea of catching our pre booked 11 pm bus from Dehradun now looked like a distant dream out of our reach. But one thing that surprises my inner city girl every time I visit the mountains, is the kindness and warmth the people here are filled with. The few shopkeepers present there made it their job to make sure we reached Dehradun safely and on time. 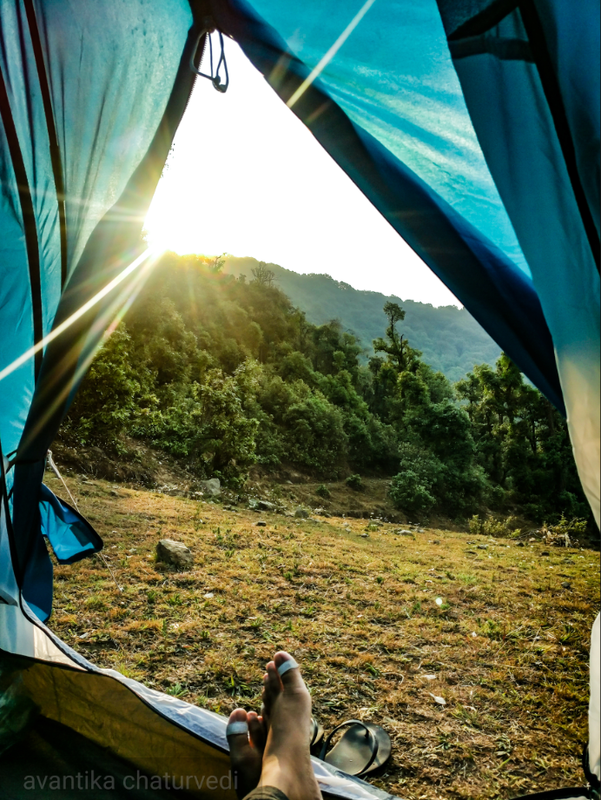 The owner of Nag Tibba Tent and Trekking Center, Chauhan Singh Ji gave us cash in exchange for Paytm, and the owner of a stationery shop beside, took out his own car and drove us 100 kilometers till Dehradun in the night. He made sure we found our bus and were seated inside and only then did he wave us goodbye and started to return home. It is this hospitality that makes me want to return to remote areas of mountains time and again even though I return home with swollen ankles and blistered toes. There is no greater example of humanity anywhere else but in the small hearts of the imposing Himalayas. 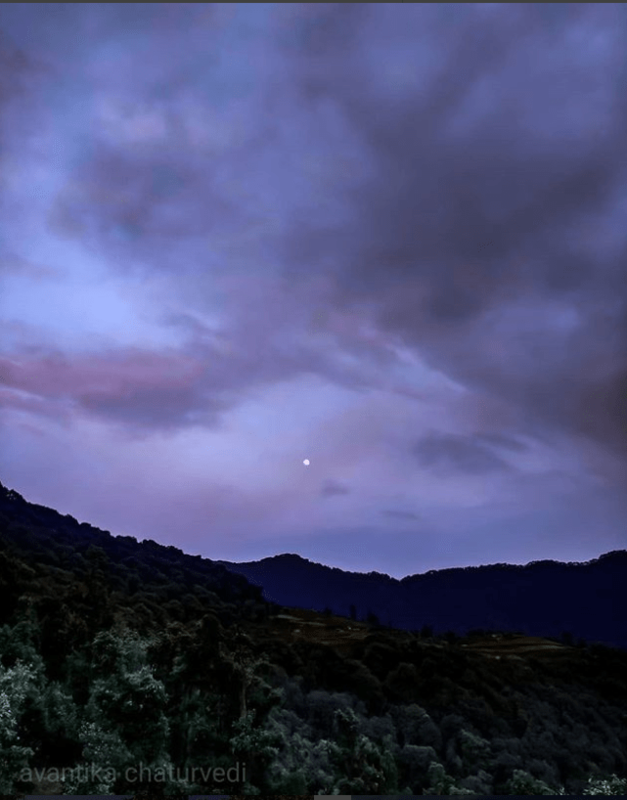 If you were to ask me how my experience at Nag Tibba was, I would say I had a blast hanging on for dear life, gorging on rajma chawal in a small hut and driving 100 kilometers with a complete stranger in the dead of the night. But would I come back for my unfinished business? Perhaps not, at least not anytime soon. I did not find the summer heat, the rocky trail and the haze covering the view of the valley worth the effort. But who knows, I might just go back to visit my Garhwali family sometime in the snow soon! To check out more pictures from Nag Yibba and elsewhere, don’t forget to follow me on Instagram! Excellent description of the tour & the place…..very vivid. More awaited.